Mr. Fethullah Gulen, an inspiration for many of our volunteers and donors, was named as one of TIME Magazine’s 100 most influential people in the world in 2013.TIME recognized Gulen for “preaching a message of tolerance that has won him admirers around the world. Fethullah Gulen, Rumi Forum's Honorary President appeared on Foreign Policy's Global TOP500 list. Turkey’s European Union Minister Egemen Bagis was at Rumi Forum on April 29, 2013 for a briefing. Minister Bagis praised Rumi Forum’s efforts to increase social harmony and contributions towards peace. A delegation of Parliamentarians from Turkey’s main opposition party CHP attended a roundtable at Rumi Forum on March 15 discussing the issues of democracy and human rights in Turkey. Constance Tzioumis, Senior Advisor to the Office of the Secretary of the State for Global Partnerships and Romi Bhatia, Senior Advisor at USAID for Diaspora Partnerships met with the Turkish American Community in Fairfax Virginia on April 11, 2013. The event was organized by ATFA and Rumi Forum as part of Rumi Forum’s community engagement night series. 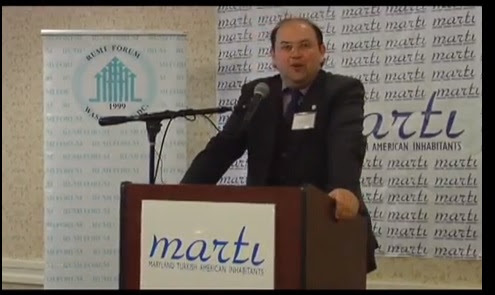 Rumi Forum and MARTI organized annual dialogue dinner in Rockville on April 25, 2013. Rumi forum President Emre Celik, MARTI President Murat Ozbas, Pastor Joel Rainey, Professor William Taft Stuart and Maryland State Senator Jennie Forehand were among the speakers at the event, which took place at Rockville Hilton. On April 22 Rumi Club at George Mason University organized a friendship dinner. 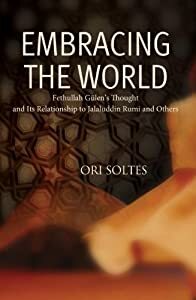 Ori Soltes from Georgetown University talked about tolerance and Mevlana Rumi. Jena Luedtke from Rumi Forum also spoke at the event. Fethullah Gulen condemned the Boston Marathon attack in a statement released. Gulen expressed his condolences to the loved ones and families of the victims while condemning all forms of terror. The Rumi Forum condemns the actions of those responsible for the horrific incidents in Boston yesterday. Our heartfelt sympathies go out to the victims and their families, the wider Boston community and all Americans.